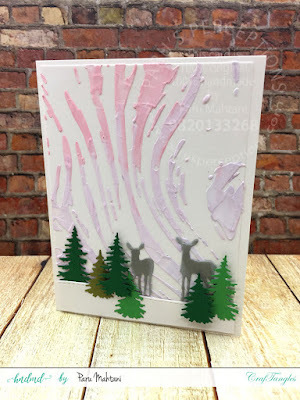 Holiday cards using Texture paste and glimmer paste! 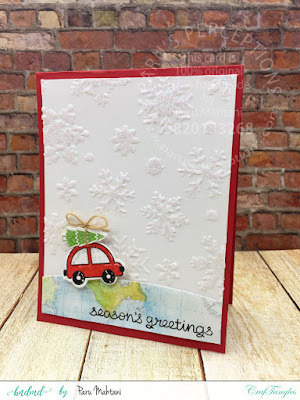 using Craftangles stencils, Craftangles white glimmer paste and Craftangles white texture paste! For the first card, I used a technique called shifting..demonstrated by Tim Holtz during his new release yesterday on facebook. shift the stencil and then apply the second colour. using Craftangles 'squares' stencil and Tim Holtz distress inks. 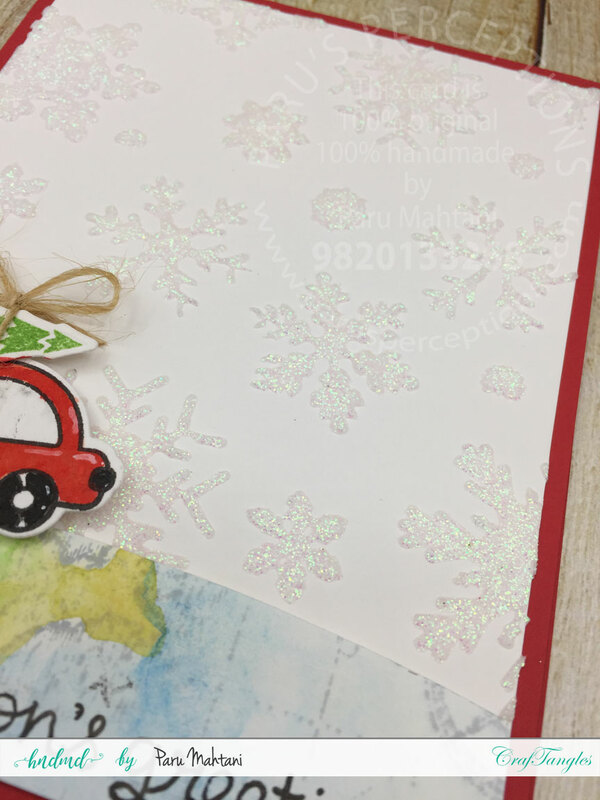 And, here is a video showing you how I made the card. Im not sure about the little green leaf..but I felt the need to break the colour scheme of orange and black and brown with a pop of colour! to a white card base. 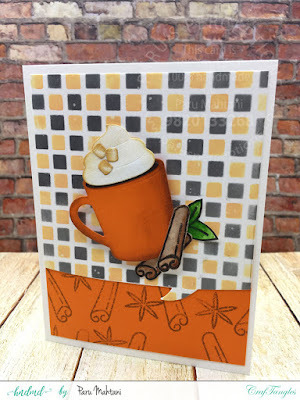 I have been using the Impression Obsession map background a lot lately and I had some scraps. I used this map scrap to create the curved base for the little car (Lawn Fawn) to ride on. Here is a detailed image of the glimmer paste. Here is process video showing how I used the glimmer paste and made the card. You can also see the mistakes I've made and how I fixed them! 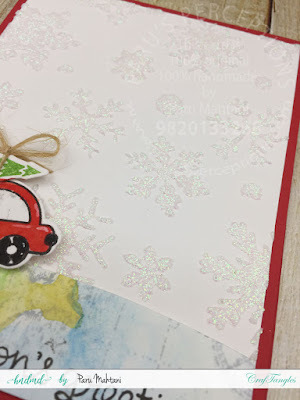 While it was wet, I covered it with gold embossing powder. 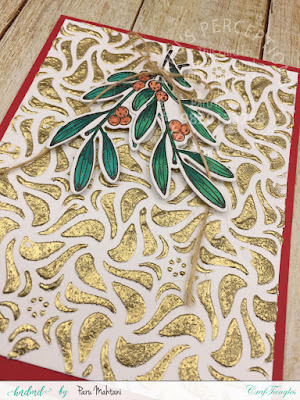 Once dry, I heat embossed the gold..can you see the fabulous texture??!! and adhered the panel to a red card base to finish the card! Here is a photo showing the gorgeous detail of the gold embossed texture paste ! Here is a process video showing how I applied the texture paste and gold embossing powder. 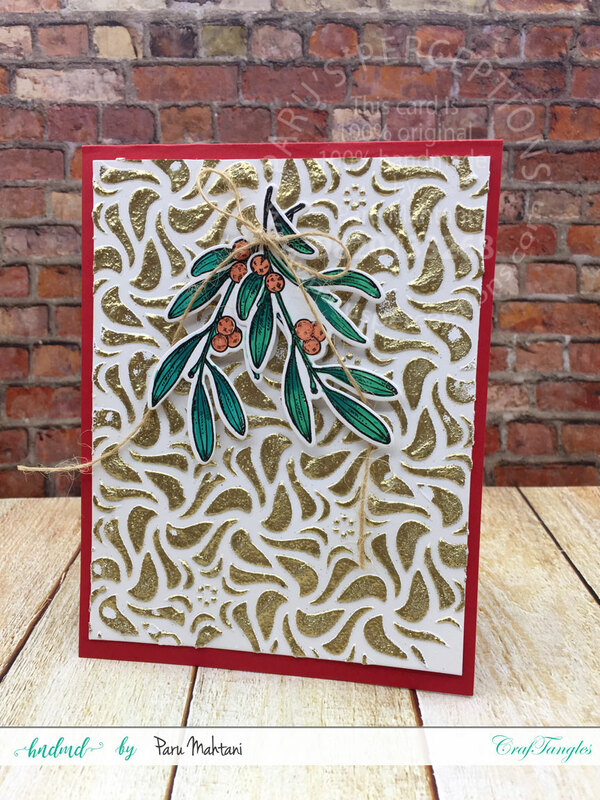 I have used the Craftangles white texture paste which I have coloured using Tim Holtz Distress inks. I used the Craftangles 'Marble effect' stencil to create this background and some Hero Arts and Impression Obsession dies to create the Christmassy foreground. Here is a video showing you how I made this card. You can see in the video, that I started out using very little texture paste for the first colour..but then added more and as you can see, the colours have blended beautifully. Thanks for having the patience to go through this long post.